The printer can print on different sizes (maximum 136 x 420 mm) and types of media including premium glossy photo paper with the maximum print resolution of 5,760 x 1,440 dpi and the print speed of 36 sec per photo. It produces professional-level vibrant-color long-lasting output. To the undoubted advantages of the gadget one should add its compactness and lightweightness; with the rechargeable battery option it’s easy to make instant prints in-the-field. 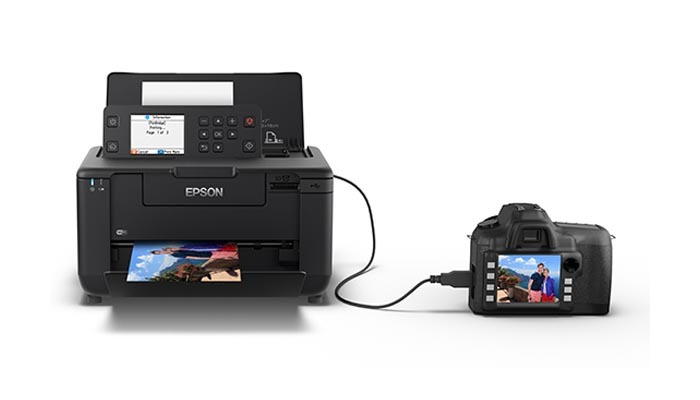 Wireless connection via WiFi, WiFi direct and Epson connect and using Apple AirPrint, Google Cloud Print and Mopria Print Service allows to print anywhere almost from any smartphone or tablet. The 2.7” color LCD touch screen will help to operate the printer effortlessly. The Epson PictureMate PM520 is available to purchase from Indian retailers. This entry was posted on Tuesday, September 26th, 2017 at 8:25 am	and is filed under Epson, photo. "Desktop And Professional 3D Printers From Sharebot And miniFactory"